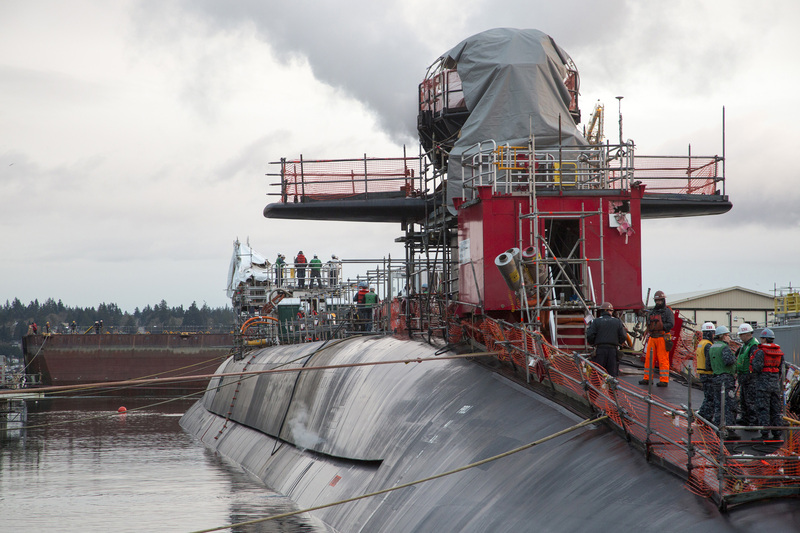 Ohio-class ballistic missile submarine USS Nebraska (SSBN 739) undocks from a dry dock at Puget Sound Navy Shipyard and Intermediate Maintenance Facility on March 8, 2016. US Navy photo. Fleet Forces’ shortfall was due to one simple event: the attack submarine USS Montpelier’s (SSN-765) interim dry docking period was moved from a public yard, Norfolk Naval Shipyard, to a private yard.